In the summer of 2007, Cocke Cemetery’s 1990s description by Dorothy Kerbow and JoAnn Hearn remained accurate. The two cemetery chroniclers described the site as “overgrown with vines, brush, and briars,” forcing the Hays County Historical Commission researchers to “hack our way through the thorny brush to reach the stones.” The earlier overgrowth was so dense when Kerbow and Hearn visited the site that they were unable to locate the three Labenski family tombstones (reported by R.C. and Mary Barton in the 1970s), situated no more than 25 feet in front of the interior Cocke enclosure. 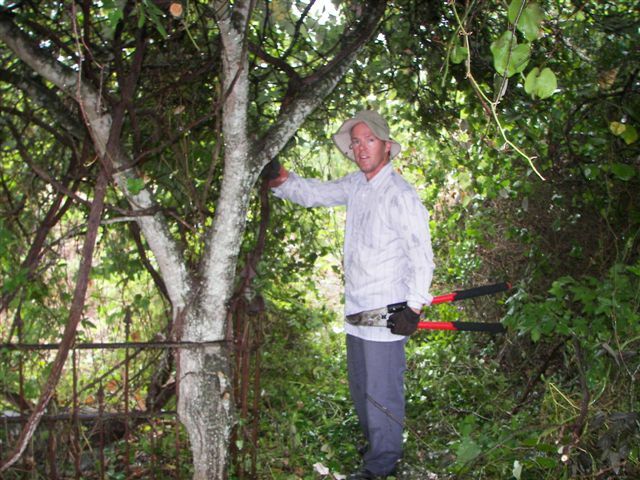 The researchers knew local Boy Scouts had cleaned the site “some years ago” but noted no one had taken the initiative to keep it clean, allowing the thick and thorny undergrowth to reclaim the the cemetery. More than a decade later, the scene was the same, if not worse. 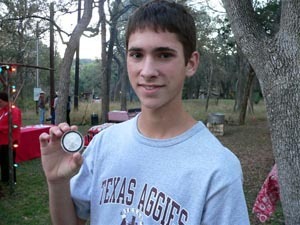 Enter local Eagle Scout candidate Brad Weber, son of Steven and Janice Weber of Buda. Seeking an appropriate Eagle Scout project, Brad contacted the Hays County Historical Commission and proposed a clean-up of the site. Reaction from the commission was sincerely appreciative, but skeptical, considering the magnitude of the task in clearing the approximately one-acre site of its dense overgrowth. But Brad was determined he could pull a crew together to accomplish the task. And he did. In June of 2007, Brad assembled a crew of Scouts, parents, other workers, and the necessary equipment to hack, mow, saw, and remove the massive amounts of thorny vegetation and dead wood that covered most of the site. 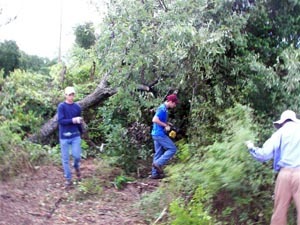 When the several-week clearing was completed, he and some of his crew placed a landscape timber walkway from near the cemetery entrance to the gravesites. The end result was a beautifully-cleared cemetery, restored once again to a more presentable—and accessible—condition. The HCHC publicly recognized Brad Weber at its December, 2007, meeting at Chairman Kate Johnson’s Halifax Ranch. 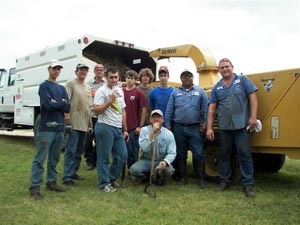 Update, Summer of 2008 – Regular periodic grounds work by the Hays County Historical Commission is maintaining Cocke Cemetery at a level fitting of its historic standing in the old Elm Grove Community.